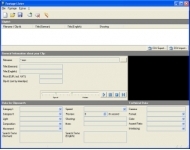 Interclips Footage-Lister helps footagesellers in listing their video footage. Free software program downloads from the best in download libraries! Browse the asked-for apps sections, see the most recent updates of the notable computers programs, and try for free! Do not toss away chance to recieve the first class apps: utilise SoftEmpire directory to download programs for free of charge. Have a look on the website of free utilities and software app versions. select among OS utilities programs, acquire controllers, games, and all other types of programms for your laptop or cellular stuff! Interclips Footage-Lister helps footagesellers in listing their video footage on www.interclips.de/com. Clipboard enhancement utility with treelike structured storage allows you easily edit, combine, reformat and paste text into any application. Allows you insert commonly used text by pressing hotkey or typing in the short nickname in any application.. This image collection contains more than 5000 fresh and original images. Most images are full-color, and all are hand-traced (no autotracing) and of the highest graphic and technical quality, suitable for professional use.